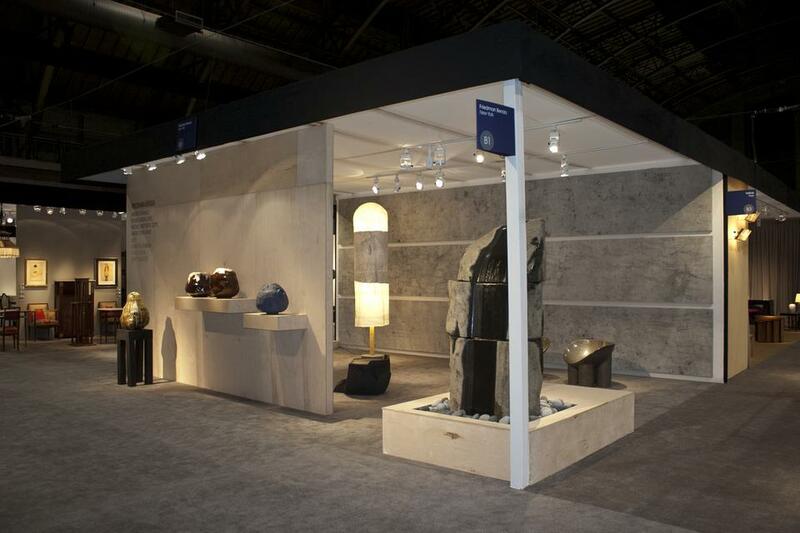 A focal point is a basalt fountain created by Korean designer Byung Hoon Choi [b. 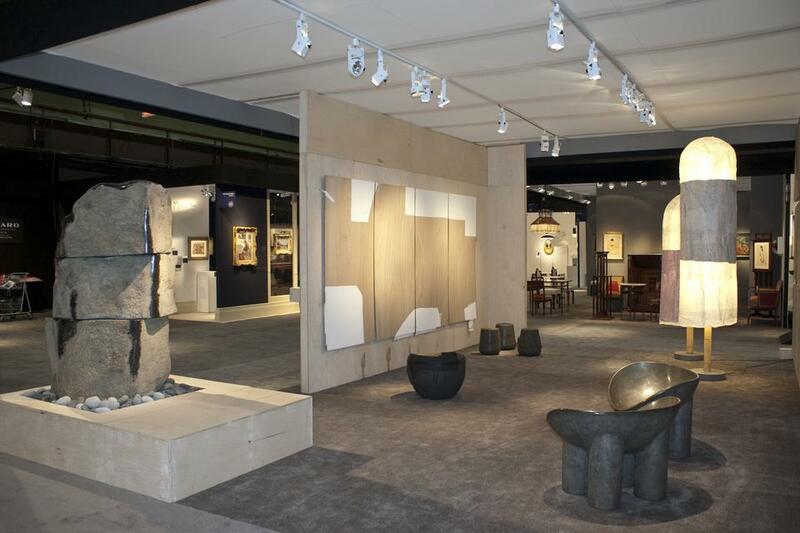 1952], a pioneer of Korean craft, whose work is both aesthetic and functional. 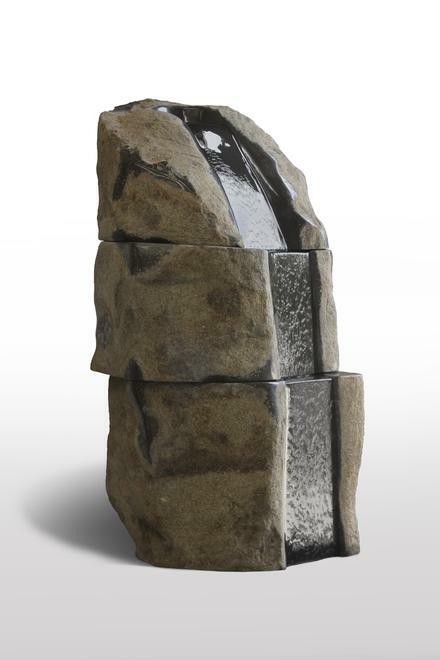 Choi achieves an imperfect beauty created from the contrast of raw and polished surfaces of hand-chiseled igneous rock with the gentle flow and sound of falling water. 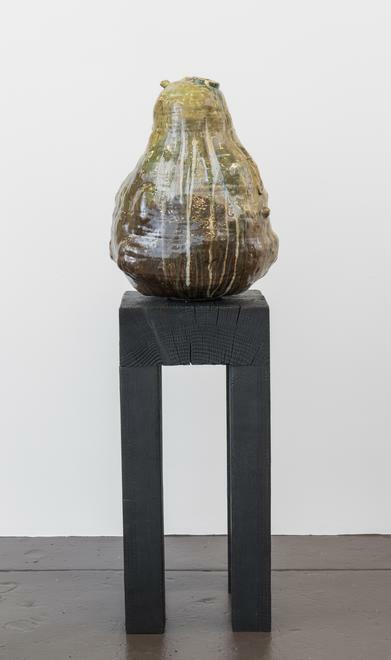 The fair coincides with Choi’s second solo show at Friedman Benda. 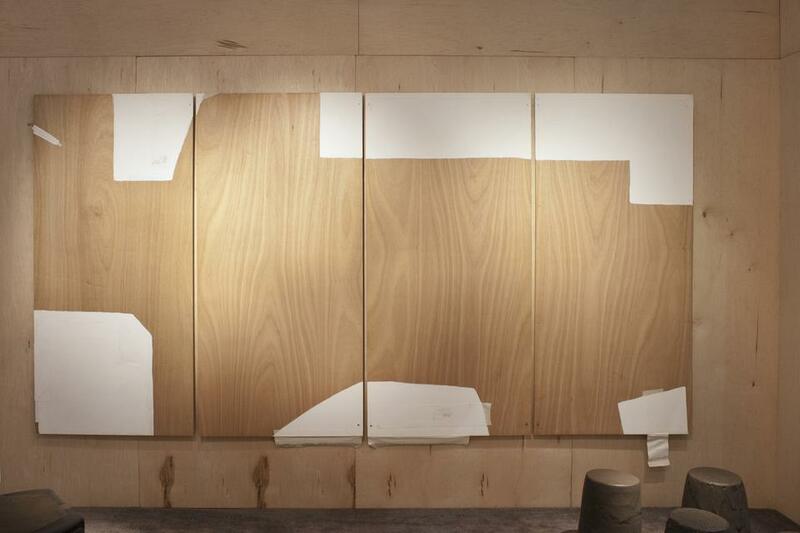 The installation includes Border of Interior and Exterior, 1985, a large-scale painting of plywood, paper and cotton by groundbreaking Japanese artist Kishio Suga [b. 1944]. One of the original and leading members of the Mono-Ha movement of the late 60s and 70s, Suga's artwork will be a major element in the installation. 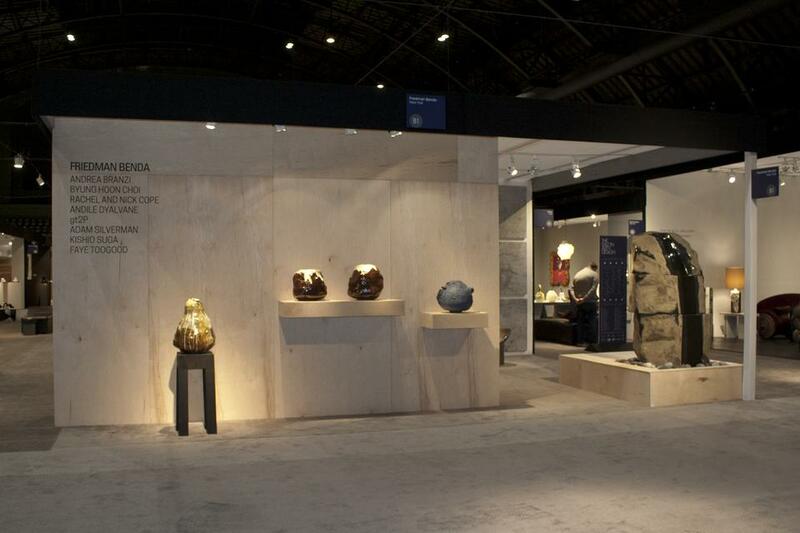 Contemporary British designer Faye Toogood’s [b. 1977] volumetric Roly Poly chairs in silver nitrate bronze will be shown for the first time, and are a preview to her first solo show in the US at Friedman Benda in February 2017. 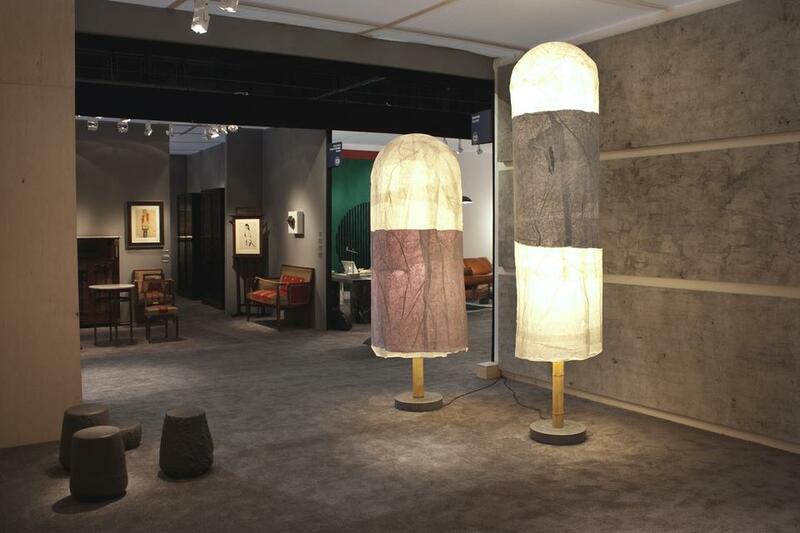 Voluminous rice paper and bamboo floor lamps by the influential Italian architect and designer Andrea Branzi [b.1938] are juxtaposed with stools made from remolten and cast lava excavated from Chile’s Villarrica Volcano by the design collective gt2P [founded in 2009]. 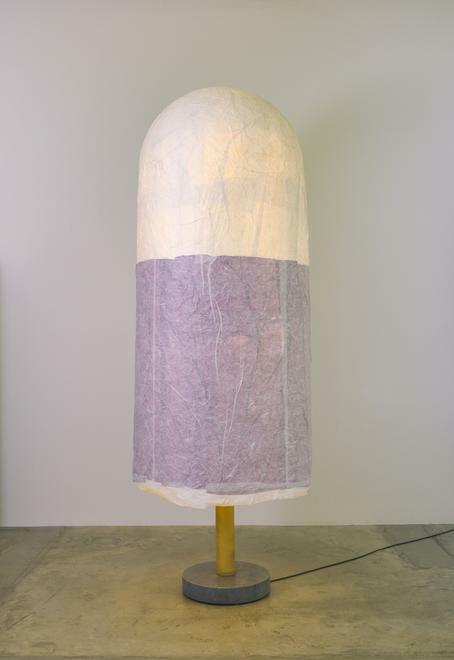 With a focus on ceramics, Los Angeles- based artist Adam Silverman’s [American, b. 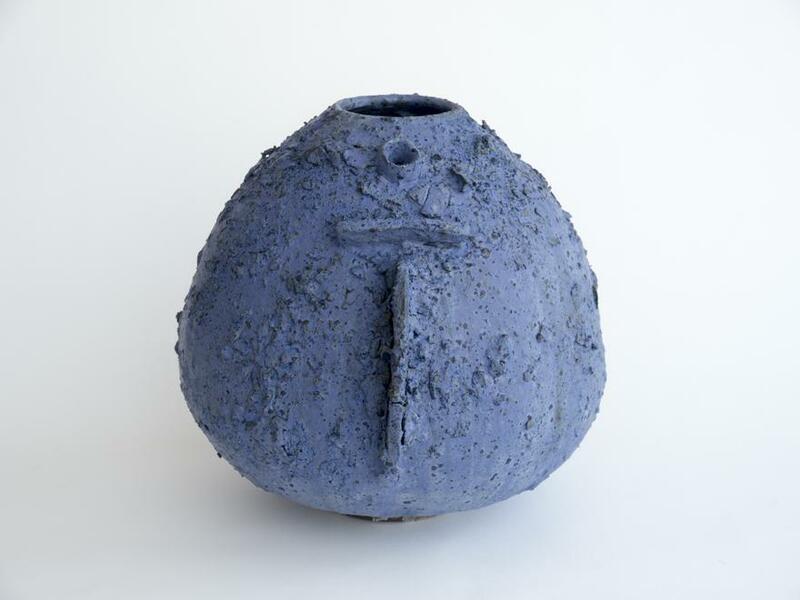 1963] rigorous approach to his process can be seen in the form, color, and texture of his vessels. Inspired by Japanese and Turkish traditions, bespoke hand-painted wallpaper will be created for the installation by Brooklyn-based Calico Wallpaper, as a first collaboration with the gallery.